These Eye-Vac filters are sure to to get your Eye-Vac vacuum back to feeling like new. If you're an allergy sufferer, replacing your filters for everything in your house is a necessity and your vacuum is no different! This are sure to help keep your home's air clean AND help improve your vacuuming. Replacement Pre-Motor Filter Fits Eye-Vac Professional Units. This filter is washable & reusable. Compare to part # EV-PMF. This is a generic product designed and engineered in the United States by Crucial Vacuum. This is not a Eye-Vac OEM product and is not covered under any Eye-Vac manufacturer's warranty. Please check your manufacturer's warranty with regard to the use of non-OEM parts. Crucial Vacuum provides no warranty or guarantee with regard to the product or its compatibility with your Eye-Vac product. Any use of Crucial Vacuum non-OEM products in your Eye-Vac product is done at your own risk. The Eye-Vac brand names and logos are the registered trademarks of their respective owners. Any use of the Eye-Vac brand name or model designation for this product is made solely for purposes of demonstrating compatibility. 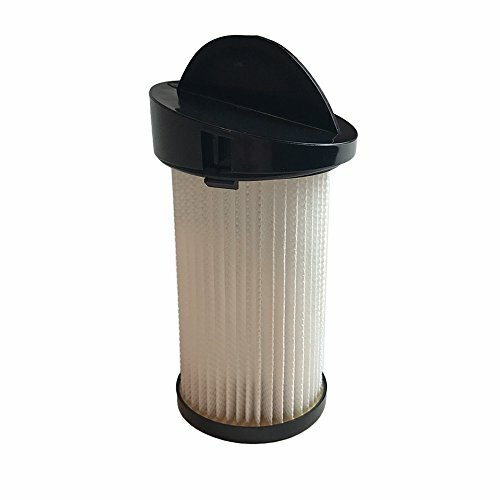 ✅ HIGH QUALITY AIR FILTER that can replace your Eye-Vac Pre Motor Filter. Get back to having a clean air to breathe again! Fits all Eye-Vac Professional Units. ✅ HEALTHIER LIFESTYLE! No one wants breathe dirty air in their home and if you don't clean your air filter that will be exactly what you'll be doing! Replacing your filter will help clean your vacuum's air and allow for a healthier lifestyle! This filter helps keep out household dust, pollen and mold spores. Compare to part # EV-PMF. ✅ EASY TO INSTALL so you can get back to cleaning as soon as possible! Simply remove your old filter and put this brand new one in it's place! ✅ SAVE MONEY by using a new air filter! When your vacuum has a clogged or dirty air filter it can cause it to work harder which will end up hurting your electric bill! ✅ GUARANTEED SATISFACTION because of a 30 day full money bank guarantee and a trusted Crucial Vacuum warranty. We are so confident in our products that we have no problem giving you every penny back if you're unhappy with your purchase. You won't see promises like that from big box brands!